Google Knowledge Graph is consistently presenting new opportunities to produce enhanced listings in on its search results pages. Forget about ranking above the fold among 10-blue links. Your content can leap off page-one results – if you are willing to invest a little time learning how to understand search query intent and implement structured markup across your website. It doesn’t matter if your business consists of one location or hundreds of geographically dispersed destinations. The aim is to help searchers who are actively seeking your goods or services find you “front and center” in search results, no matter where they are and which type of device they are using to complete a search. This is precisely when some basic markup, such as business locations, can really set your search results apart from others. Google My Business can put your business information in search results, on maps, and in Google Plus. As a result, customers can find your business location no matter what device they’re using. Most people have grown familiar with Google Maps over the years, but the addition of Knowledge Graph goes beyond maps to include store-specific reviews, as well as timely offers shared across social media assets. For example, complete a search for one of your favorite stores like Kohl’s and consider the ways that structured markup provides additional information about a shopping destination. The retailer gets a chance to pick up more Google+ fans, while also providing timely offers to entice searchers into visiting a store right now. It’s easy to do when you leverage structured markup with details provided at Schema.org. If your business tends to roam a bit, then you can take your schema markup on the road to provide all the latest details and current information about events, places, and dates. For example, search for Dave Matthews Band and you will see much more than playlists and band members. You’ll also find upcoming events and ticketing information that are specific to your locale. Schema markup for Events is a great example of how enhanced listings can highlight temporal happenings and locations, such as a concerts, lectures, or festivals. This is a non-sophisticated way of saying you can produce geo-spatial results in your search listings today, assuming you know what type of search queries trigger desired search engine responses. We should note that ticketing information can be added to Web-based content markup by way of the “offers” property, which is also addressed in the Knowledge Graph offer details for Kohl’s stores. To keep the coding simple, repeated events can be structured as separate event objects. You don’t need to be a rock ‘n’ roll icon to get top billing in search results for your event. Schema markup for Events and Locations can also help answer questions about what to do next weekend – or on your next business trip to a new destination. Looking for “things to do in Madison, Wisconsin” this weekend? Go no further than the Google Carousel. You can bind a point of interest for a geographical location with a schematically optimized image to get your content placed on top of the organic results for specific search queries. Events held at these locations can help influence the left-to-right order of the items in the local carousel, if you just take the time to incorporate schema markup into your event information at a local point of interest. It doesn’t matter if you run a food cart or an international chain of restaurants. If you put structured markup to work on your Web content, you can present a very rich visual display in line with regular search results when you optimize for specific intentions of people using a search engine to answer a question. Speaking of questions and answers, online resources for Google Answers currently go beyond Wikipedia to include high-quality content that addresses specific questions or includes step-by-step instructions. For example, do you need to know how to boil eggs? Just ask Google, and your website might leap to the top of the heap of search results – just after another business that is paying for the top spot. By using Creative work schema markup for Recipes, complemented by a DMOZ listing for Apartment Therapy’s The Kitchn, a small site can take on giants in the industry for top search results. Just be aware that the surge in search referrals might be temporary. 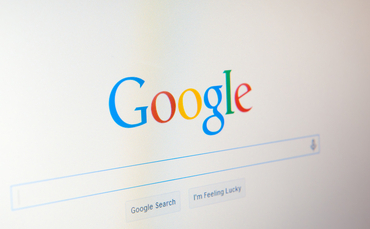 Google is collecting Feedback (shown above) as a way to determine which UI features it will keep in search results – and which will go the way of Google authorship photos. You still have more questions? Great, because using structured markup on your Web content can help it rise to the top of the SERPs in many other ways. Why not take the upcoming long holiday weekend to review the details at Schema.Org. Or better yet, use Google Structured Data Markup Helper to get started on the code today. Adding structured markup is particularly easy if you run a WordPress blog; there are many schema plug-in options from which to choose. The Knowledge Graph content is continually changing and enhancing SERP listings to quickly answer the needs of almost any type of localized, branded, or information-oriented unbranded search queries. To continue to be a part of this ever-changing landscape, we recommend adding structured markup to important content across your Web-based content today in order to leverage new UI displays in the major engines tomorrow.